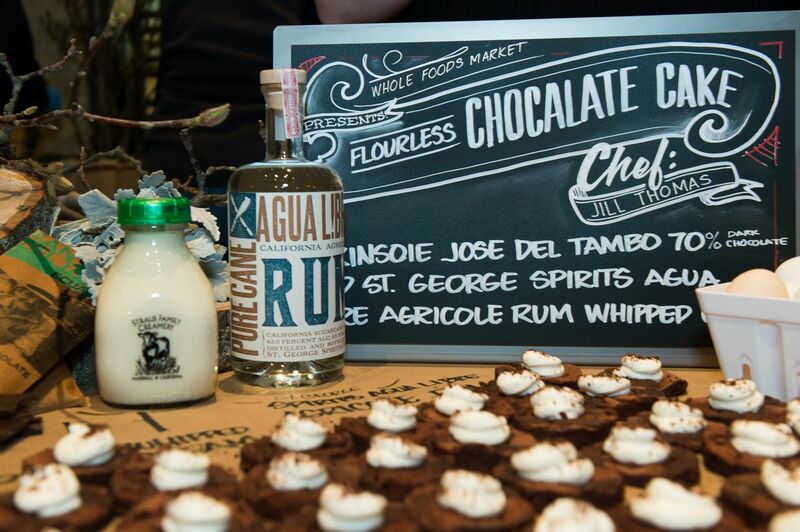 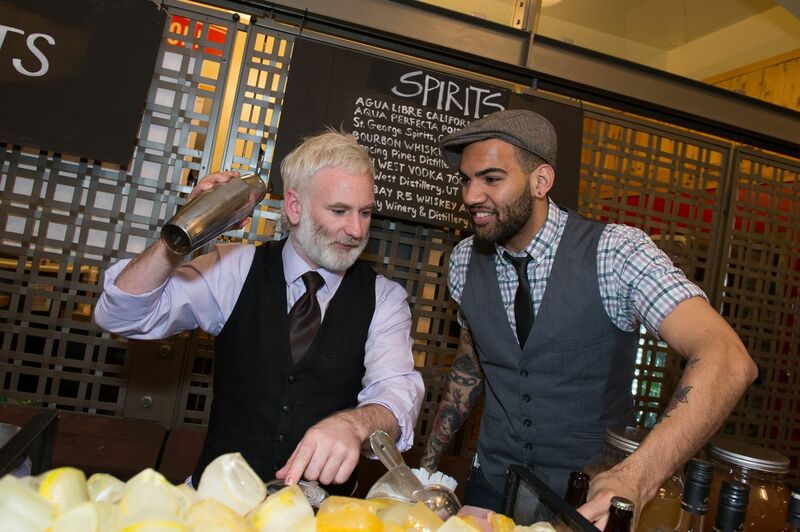 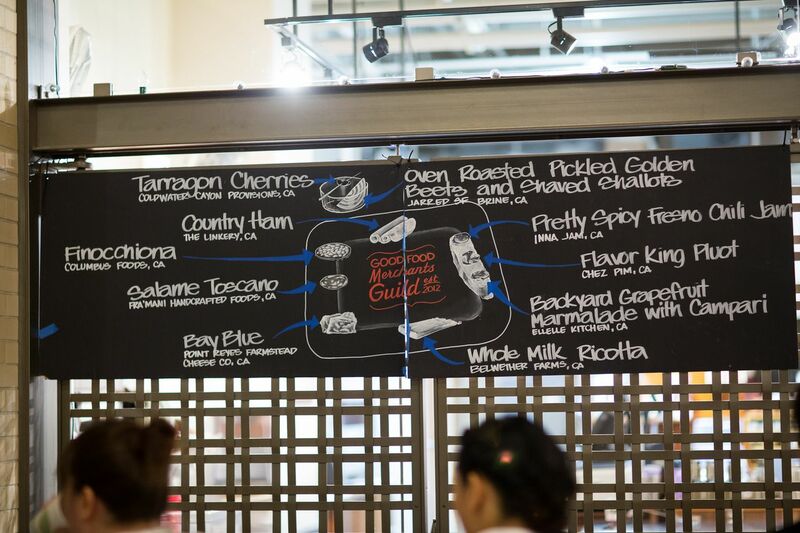 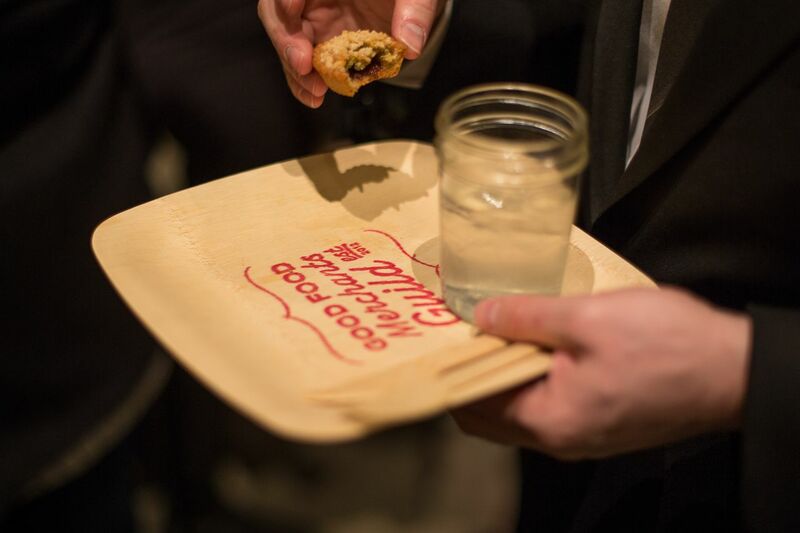 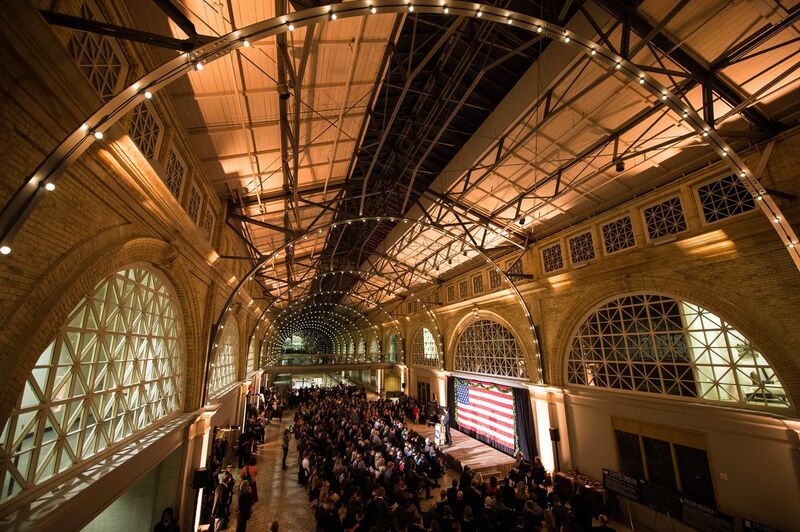 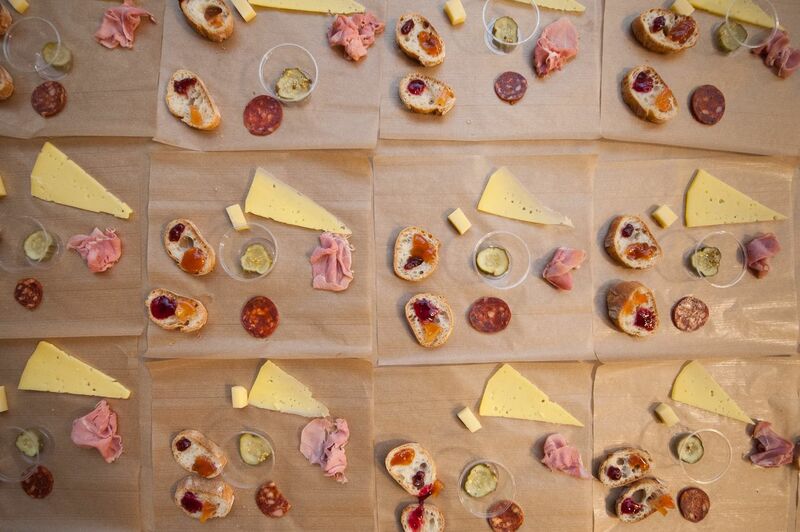 The Good Food Awards had its third annual event last weekend at the Ferry Building. 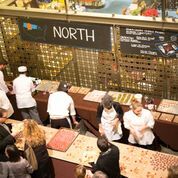 For these three years, BCV has played a role in designing the look and feel of the event; guiding the creation of the medals for each winner, the signage, and layout of the two days of events, among other details. 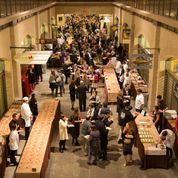 A few BCV people attended the awards ceremony and reception, getting to hear speeches from the winners and then taste the food that won. 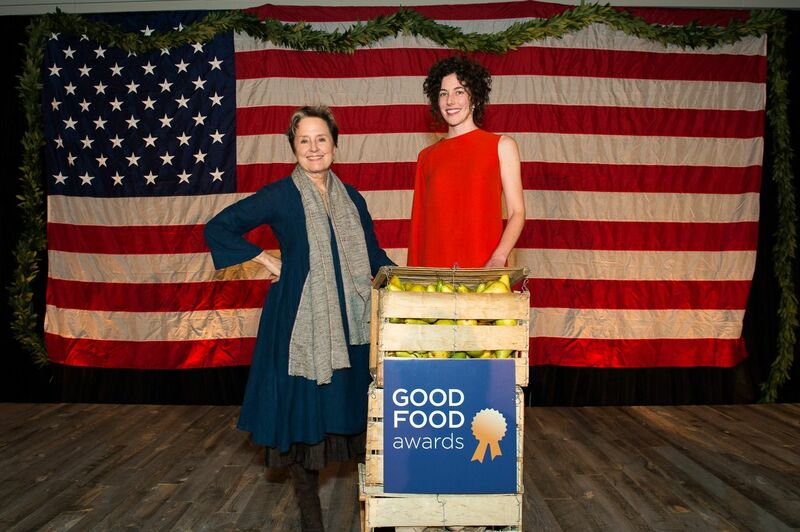 Alice Waters and Sarah Weiner, director of Seedling Projects, up on the stage. 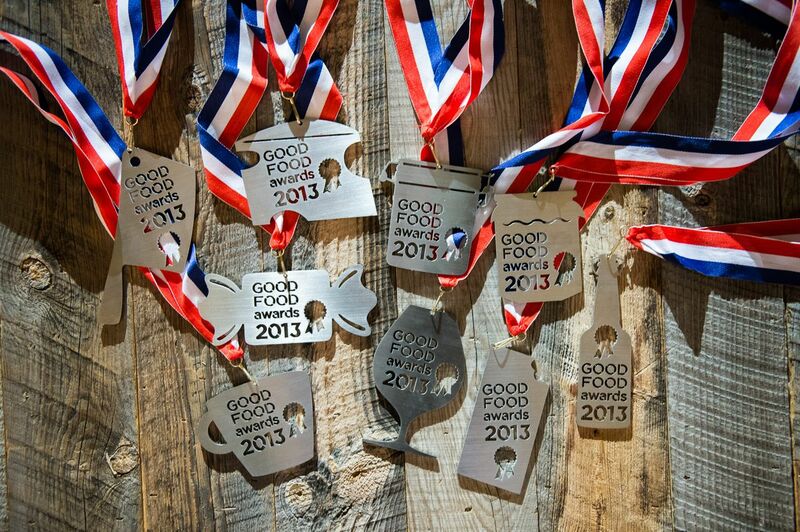 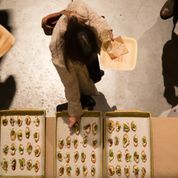 The Good Food awards is put on by Seedling Projects, a “do-tank” focused on supporting the sustainable food movement. 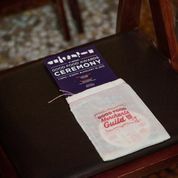 Photos courtesy of Marc Fiorito and Jonathan Fong of Gamma Nine Photography.